Earlier this month when Chevrolet announced the 2020 Silverado HD, we instantly took notice of the newly-integrated BedStep – a feature that makes accessing the bed much easier from the side of the truck, especially when pulling a fifth-wheel trailer. The feature, which appears to be an progression of the step-side pickup trucks, is not offered on any current pickup truck sold in the United States. However, BedStep did surface on another Chevy pickup before coming to the all-new 2020 Silverado HD. 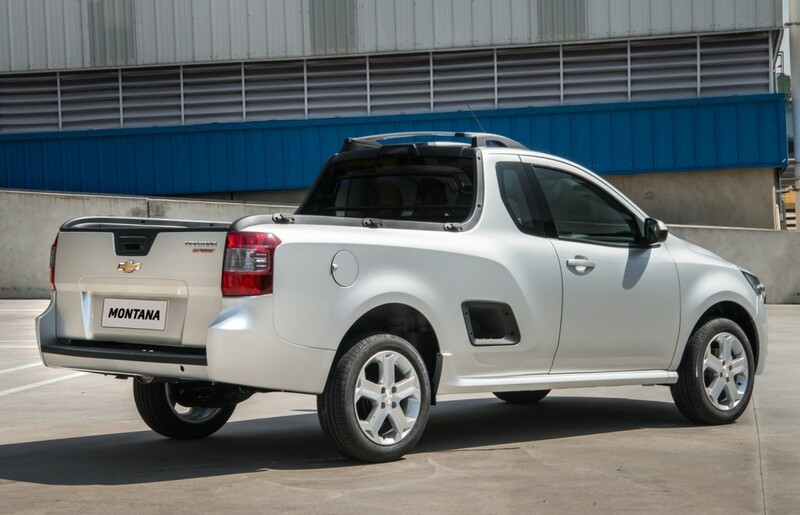 That pickup truck is none other than the Chevrolet Montana. 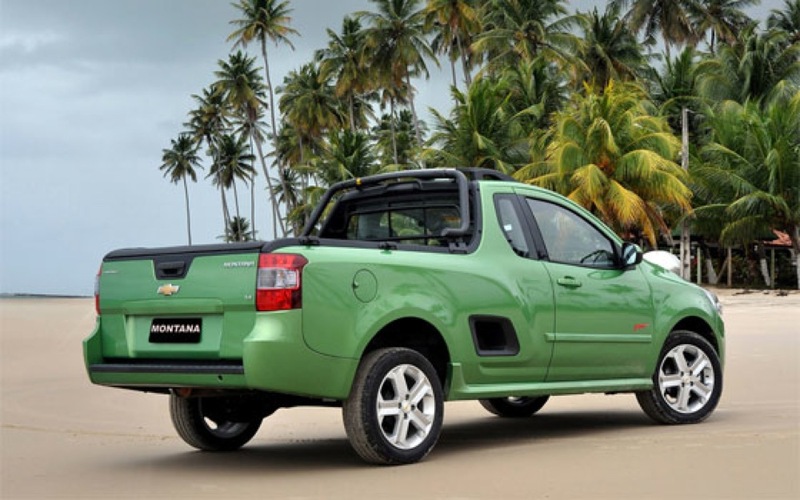 The Chevrolet Montana is a compact, unibody pickup currently sold in Mexico, Central America, and South America. It is also marketed as the Chevrolet Tornado or Chevrolet Utility in some markets, and was introduced in the 2010-2011 timeframe. 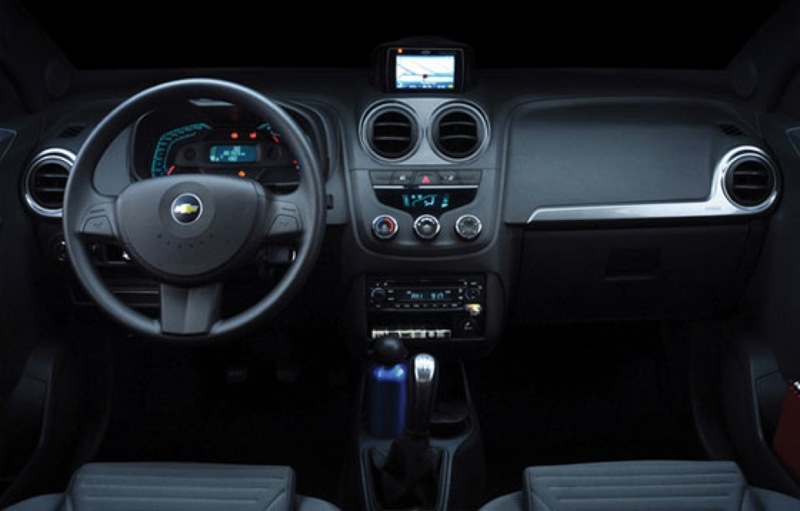 The vehicle was developed by GM Brazil and rides on a modified version of the GM Gamma platform shared most directly with the Chevrolet Agile subcompact hatchback, which – until recently – was sold in some Latin American markets. 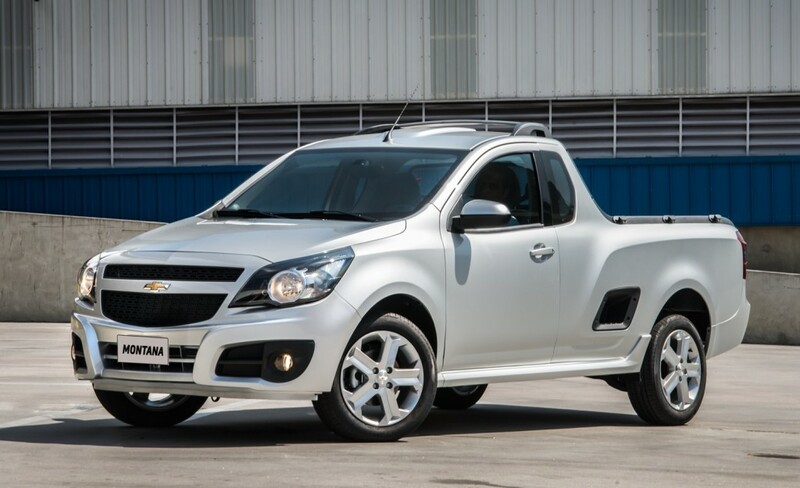 GM is working on an all-new version of the Chevrolet Montana in Brazil. Expected around the 2020 calendar year, the future model will be based on the new Global Emerging Markets architecture, also known as the GEM Platform, shared with the next-generation Chevrolet Tracker – a subcompact crossover SUV that will no longer be related to the Chevrolet Trax. So it would seem that GM designers drew inspiration from the Montana for the BedStep for the 2020 Silverado HD. Truth be told, we wouldn’t mind it if all GM trucks had the BedStep, from the light-duty Silverado 1500 and Sierra 1500 to the mid-size Colorado and Canyon. Whether that will actually take place is anyone’s guess. Stay tuned to GM Authority for more Chevrolet news and Silverado news. 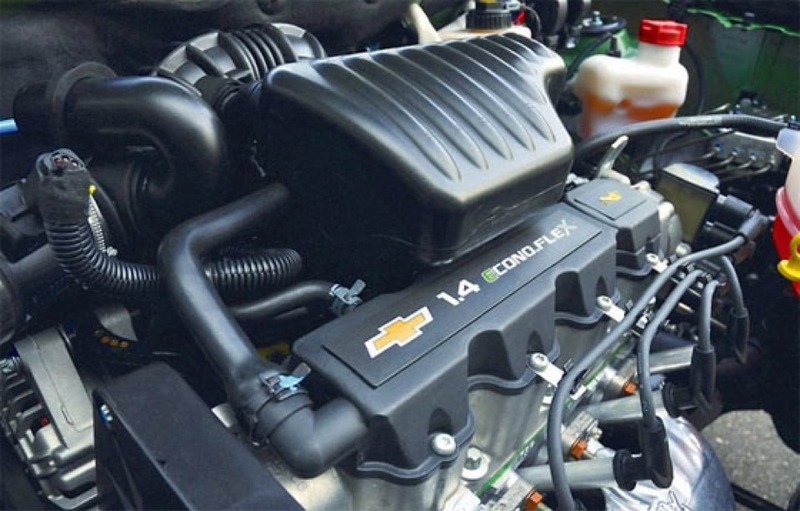 Previous story How Much Can Buyers Save With The Chevrolet Employee Discount For Everyone Incentives? Next story Are Autonomous Cars Bad, Or Is It The Self Driving Car Industry? Yea it was called a StepSide bed. I noticed this a while back but as far as I know it never made it to production. 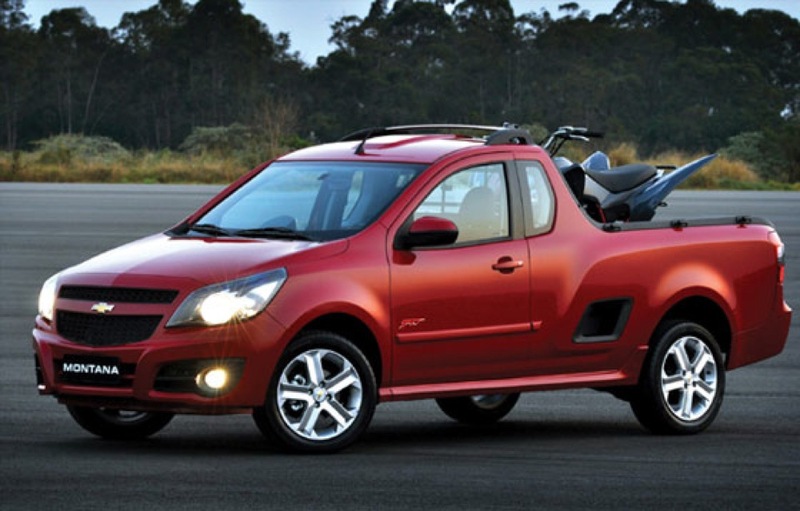 I lived a few years in Brazil, and GM offered terrible products there. If I am not mistaken, the current Montana rides the platform of the Corsa-B of 1994. The previous Montana was a better car and was built on the platform of the Corsa C.
Where can I find a 1975 Corvette convertible, red, L-82, automatic transmission, original condition. I’ve looked in many , many places. Please send information if you can. I’ve looked ALL OVER the country to find one !! I found one in Iowa, but the person decided to not sell. Apparently there were very few made.